Traditionally, the Christian church has observed the seven weeks before Easter as a time of penitence and spiritual self-examination. 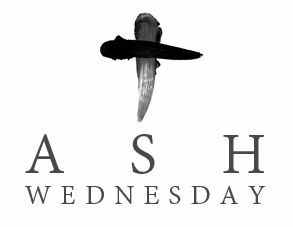 Ash Wednesday is March 6 this year and will mark the beginning of our Lenten Season. Ash Wednesday derives its name from the ancient practice of marking the foreheads of worshipers with ashes from the unused palm branches of the previous year. Our service will also include the imposition of ashes. Ashes historically have had a dual significance. First, they are Old Testament symbols of sadness and humility. The second symbolic meaning of ashes is as a reminder of our mortality as our bodies and material possessions eventually will turn to dust and ashes. Due to technical difficulties the short documentary will not be shown before worship. You can view it at your convenience here.